Spring bulbs are such a treat when they're in flower. But once the flowers fade, you are stuck with only the leaves, that weren't much to look at to begin with and continue downhill from there. It's tempting to want to cut them down and be done with them, but if you want the bulbs to bloom again next year, you have to resist the urge to cut the leaves or even make them look tidier. Flowering bulbs need their leaves to photosynthesize and make food, after they finish flowering. Each year, bulbs must store enough food to not just get them through the remainder of the year, but also to set new buds. That takes a lot of energy. 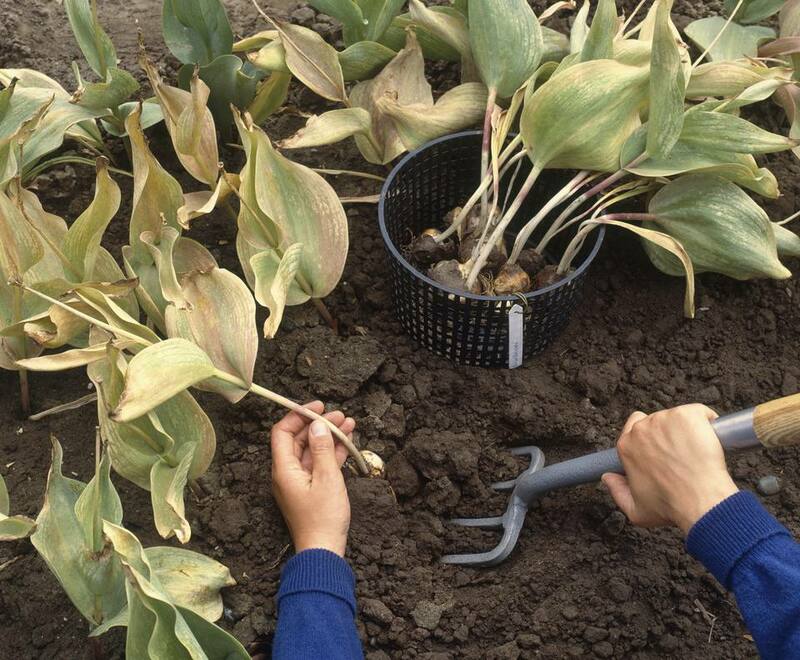 When Can You Safely Cut Back Flowering Bulb Leaves? Eight weeks is a good rule of thumb. That means bulbs that emerged and bloomed in April need to be left standing until June. Unless you plan on saving the seeds, you can cut back the flower stalks once they've finished blooming. The stalks are just sapping energy from the bulb. If you have hundreds of bulbs, don't worry about cutting them all back. They will still bloom for you next year. If you've interplanted bulbs in a mixed border, perennial plants will start sprouting and shrubs will begin filling in at about the same time the bulbs are fading, slowly hiding them from view. You will notice them less as the garden fills with green and color. If you planted large swaths of bulbs, it will be harder to disguise them. Try and limited these large patches to areas of your yard that will be obstructed or at least distracted from view, when the rest of your garden wakes up. Interplanting the area with early blooming annuals, like pansies and snapdragons will make the area look less disheveled. The leaves need to be exposed to sunlight, to be able to photosynthesize. Tying them up, bending them over, braiding them into packets, or tucking them under nearby plants are not good ideas. Let them be. This goes for bulbs planted in lawns, too. If you want them to return, you are going to have to put off mowing until the leaves yellow on their own. Planting bulbs in a small section of the lawn will allow you to mow around it, so the entire lawn doesn't have to look unkempt. At least the tall grass will disguise the yellowing leaves. Ideally, you should feed your bulbs when they are first poking out of the ground, but there can still be snow on the ground then. If you haven't feed them yet, do so now, while they are building up energy to store. There are special bulb fertilizers which have a high percentage of phosphorous or you can use bonemeal.